Unless a court intervenes, the state will have to allow an attorney to collect signatures for a ballot measure that would authorize mass murder. I’m even less sure what to think of the plan (threat?) to publicize the names of anyone who signs the petition. Sure, I and everyone I’d willingly associate with would be strongly against the proposal (it is, truly, wretchedly offensive), but isn’t outing people for their personal beliefs and political actions (especially those so out of favor that violence might be directed at them were they known) also wrong? I have mixed feelings on the concept of the “outing”. On the one hand, there is the problem with the possibility if intimidation, but on the other, the anonymity has allowed for some very questionable, if not vile political campaigns given nobody actually has to own up to their belief. In the end I tend to think what value does a “belief” have if one is not willing to own up to it? Its one thing to demand legislation that alters other people’s life in a negative way, but being allowed to hide who is making the demands? Its bad enough that we now allow the funding sources of such campaigns to be hidden under the guise of free speech. We wind up with a lot of vitriol spewed whose author’s remain hidden behind bland shell organizations, immune from having consequences for their actions. Its like a modern version of the KKK, hiding behind their white sheets, free to burn crosses and shout epithets, immune from consequences because nobody knows who they are. Is it “fair” for a corporation, public or private, to use its financial and economic position to sway social policy? California is the world’s fifth-largest supplier of food and its agriculture uses 80% of the state’s water. The California drought has intensified during its four-year duration, with 40 percent of the state now in “exceptional drought,” the highest category. 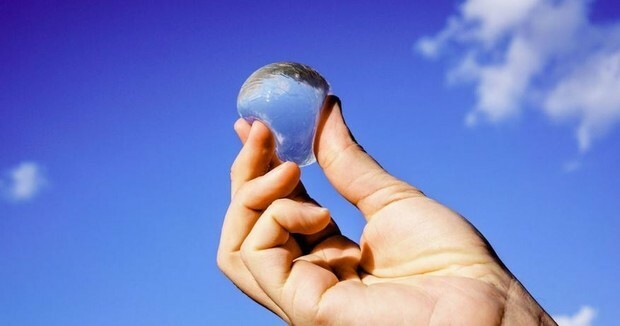 In the future, rehydrating on the go might not mean chugging from a bottle, but inhaling a gelatinous, edible blob that looks like water floating on the space station. A growing number of law enforcement agencies have acquired sophisticated surveillance technology to track cellphones but have done so with an unusual restriction: They must not talk about it.